Kinsa, in partnership with an Iowa based company are seeking a dynamic HR Manager to join their team! The Human Resource Manager assists in projects or issues such as and related to benefit comparisons, coworker training and development, communication with coworkers, preparing training documentation for coworkers, compensation analysis, unemployment issues, job descriptions, developing coworkers and counseling coworkers. Ensures consistency throughout the company in all aspects of safety to include, but not limited to policies, training and procedures. Brittany received her Bachelors degree in Human Resources and Business Administration from Winona State University. 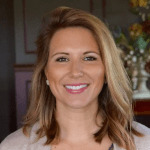 She has been a fast-paced recruiter since 2008, with expertise in Sales and Finance in addition to her Food Industry expertise with Kinsa and more at ABR Employment Services, Kinsa's parent company. She enjoys making connections and helping people find meaningful careers. Let Brittany put her network to work for you!